Get a centralised view of ALL of your reservations from ALL of your channels with a direct view on your occupancy levels. Customise your view by groups, tags, maximum occupancy, location, and more. Input your search criteria, and you can see which listings you have available right from the calendar, on any device! 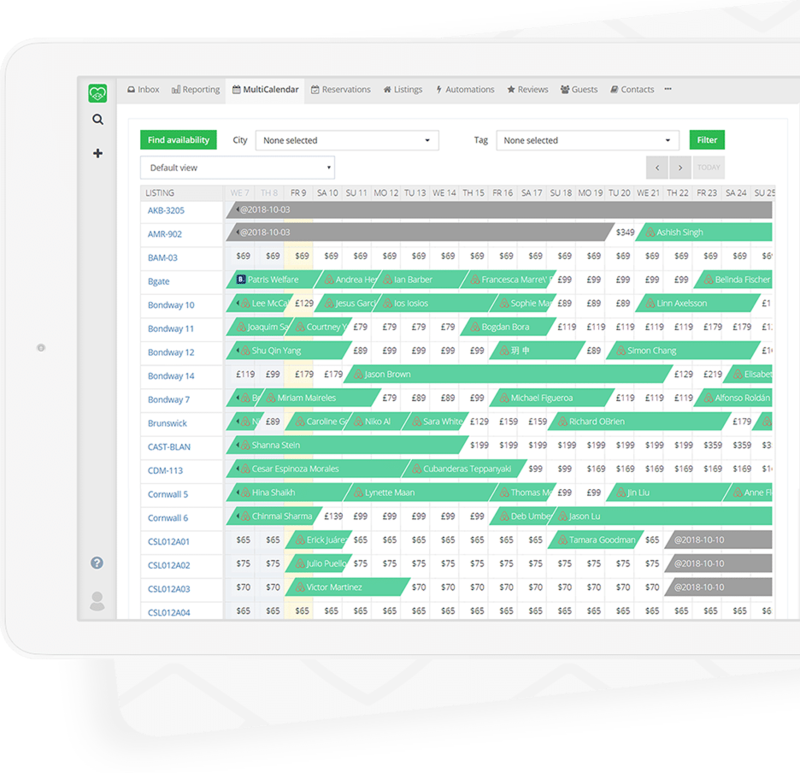 Multiple listing calendars managed in a single, unified MultiCalendar. See accepted reservations and pending requests instantly, filter your listings by city or listing tags. Have multiple units in one building? 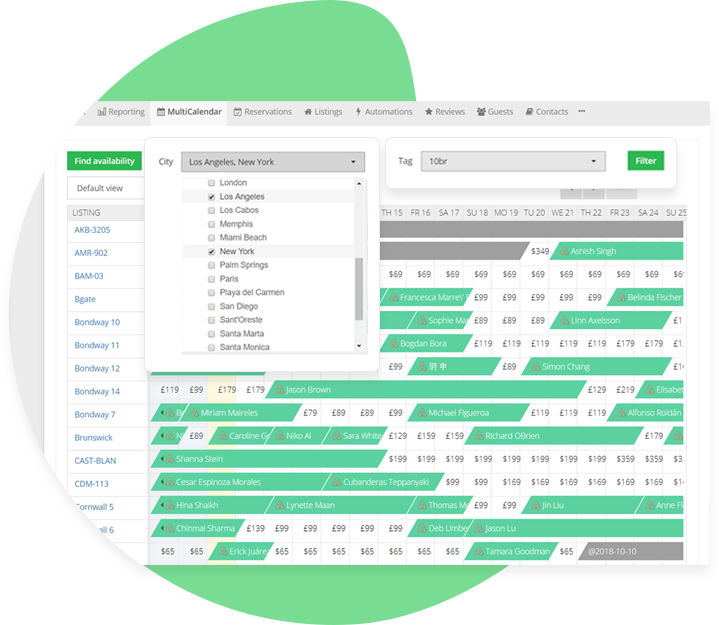 With the MultiCalender, you can create a custom calendar view to see just those. 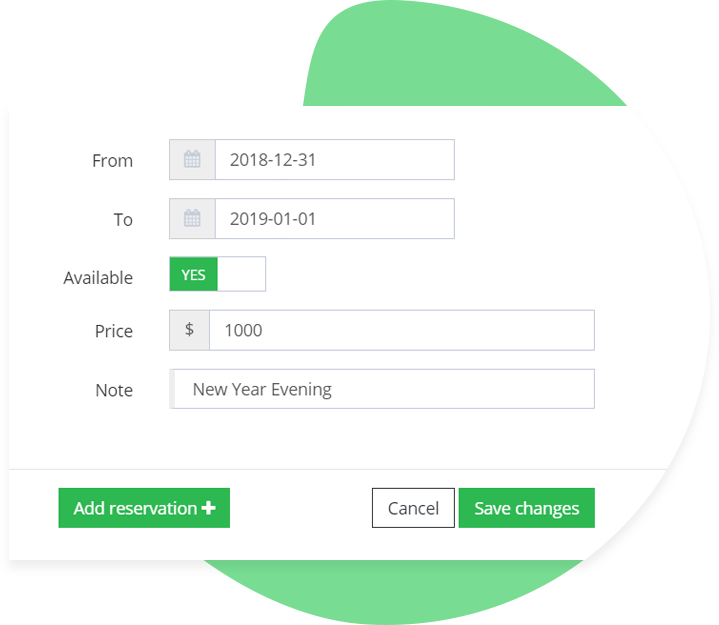 Adjust pricing and availability with one click, directly from MultiCalendar. Want to accept a direct booking? 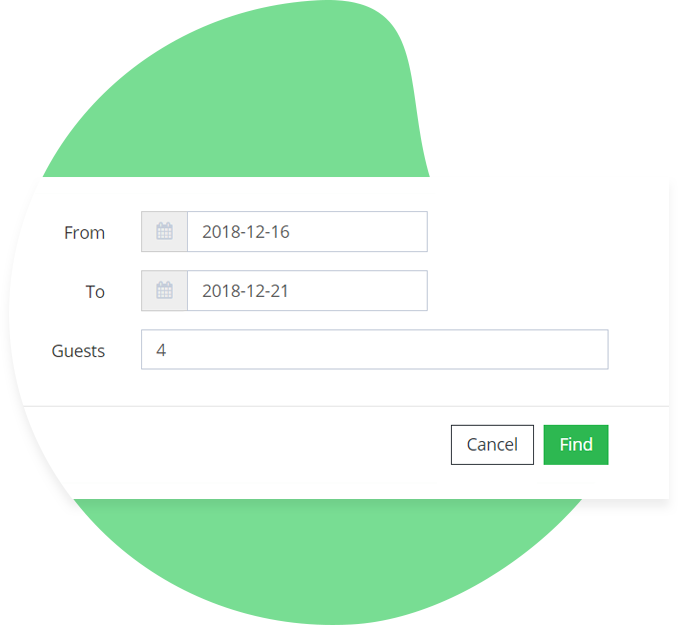 With the MutliCalendar, you can run a search to Find Availability that will suit your potential guest’s needs in just two clicks.